It is time for a good old fashioned rant. This is not targeted at any one person. This rant is against the increasing trend of not being able to send a proper email response. If I sound like an old man, so be it. I received my first Internet email account in 1992 and —back in my day– people knew how to send and respond with clarity to emails. First I need to cover what is NOT email. Facebook Email is NOT Email – Don’t force me to log into Facebook to read and respond to an email. Facebook is a contact management tool, not my email client. My email address is visible on my Facebook Profile page – use it. My Facebook Wall is NOT Email – If I have some item on my Facebook Wall (usually a link to one of my sites), feel free to comment as it is relevant to that item. If you want to contact me directly, don’t do it on my public Facebook Wall. Not only do I have to log in and connect to the Facebook site to read and respond, but 50 people have already read my message before I did. Texting is NOT Email – I understand location based texts. I don’t understand texts that are not important or can be handled in email. Every time I receive a Text message, AT&T dings me for 20 cents. Then I get to pay another 20 cents to respond to your nonsense? You just cost me 2 bananas at the grocery store. If isn’t location based or an emergency, send me an email. Or here is a radical idea – call me! IM is NOT Email – I know I’m wrong on this one, so I’m not going to defend my position that IM is brain rot. Everyone else is right and I’m too slow and dumb to get it. And Good Will Hunting was a good movie with a realistic plot and dialog. Right. 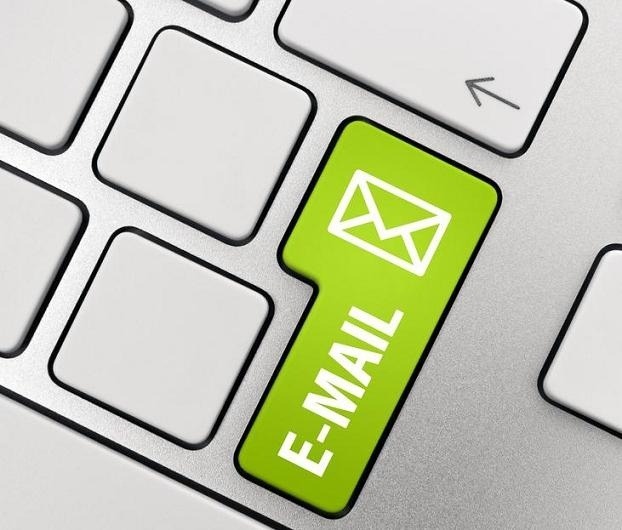 Now that you know what is NOT email, here are tips to improve your email communication. This isn’t about being perfect, it is about being a little bit better. If every American improved their email communication by 10%, the productivity gains in this country would be so huge as to pull us out of the recession in a single quarter. I’m not holding my breath. Assume English is the readers 2nd language – More people on this planet speak English as a second language than as a first language. Write shorter sentences. Reduce your use of pronouns. If it means repeating the proper names several times, so be it. It reduces confusion and increases clarity. Line breaks between ideas. You aren’t writing a novel, you are writing an email. Clarity first. Different Topics Deserve Different Emails – Stop jamming emails with multiple threads into a single email. Write a Unique Descriptive Subject Line – I should have some idea what the email is about before I read it. Note that “Hello” is not a unique or descriptive subject line. In my inbox right now I have an email from a tea company with the subject line “E-mail”. I also have an email from Amazon with the subject line “Standard IAB Sizes for Amazon Widgets Now Available”. Night and day. Stop Forwarding Me Videos – I don’t watch them. I never do. What I do is look at the title of the video and then go to Google Video to search on it. Then I watch it online. I’m not risking a virus to watch some video that came off your aunts infected laptop. If I can’t find it online, then it probably sucked anyway. If you want to share some awesome video, search for it and then send the link. If it isn’t online, consider uploading it to a free site like YouTube and then sending the link. If that is too much effort, then the video probably sucked anyway. New Topic = New Email – This one drives me bonkers and everyone does it. They want to send a brand new email, but instead of going to the TO line of their email client, they find some ancient email and hit Reply and start up a new topic. They don’t even bother to change the subject line. Why is this person sending me economic data in an email titled Directions from the airport to my house? Stop it! Virus Warnings and Other Urban Legend Nonsense – If the end of the world is coming, I seriously doubt I’m gong to learn about it from your co-workers sister’s boyfriends next door neighbor that knows someone who overheard some other person talking about the end of times. Good data almost always comes from good sources. An email forwarded to you is not a good source. Don’t send it to me. Let me be blissfully ignorant to all the infected heroin needles buried in the ball pits at playgrounds. UPDATE (May 28, 2010): Since this post, I have disabled texts on my cell phone and blocked the ability of others to write on my Facebook wall. Although I still think Twitter is brain rot, I acknowledge there are now tools to help facilitate better communication. Facebook email no longer bothers me as much, but I still prefer regular email for searching and archiving. UPDATE (October 24, 2014): Facebook email bothers me more now and I still can’t stand Twitter Direct Messages. Texting still makes me anxious, but less so than when I first wrote this post. I still dislike text conversations. I make too many errors. One of the reasons email is superior to all other forms of communication is it has superior search functionality. Perhaps I am just an old man too, but couldn’t agree more. Well said. Hmmm. How to comment to that. I am just trying to figure out what twitter, RSS even mean. I can’t even stop the daily weather report on my phone that is taking of text which I pay for. So.. I see your point, but I also think there should be pity for those of us who have no choice but to be reachable 24hrs/day and still haven’t figured out how to use our i-touch, blackberry, pagers, work e-mail, home e-mail with the greatest efficiency. I am one of those people who goes back to old email, because I have one set of contacts on my home computer, another on my outlook at work and another on my outlook at home. The last time I tried to forward the email addresses to another software program I ran what I thought was a test message to myself. It sent everyone on my work network an invitation to join myspace. It was my first week of work. A. MEN! I guess that makes me an old lady 🙂 I do see value in IM however, especially as I work remotely. a quick question or comment via IM makes me feel like someone poked their head in my office. HOWEVER… I abhor it when people send long complicated IMs with important information about customer issues…. Better that I have an email, that I can read carefully, respond thoughtfully and save easily. twitter. still don’t get it. The only valuable use I’ve seen to date is when KPBS used twitter to send valuable evacuation and fire status reports via SMS–when people are evacuated they usually don’t have their PCs with them, but they do have cell phones. But I don’t need to know that you just bought a chai latte. I am SO passing this blog post around! I’ll say it again, A Men! My thoughts are that the value of Twitter is not in person-to-person communication. That is still email. Some people can do it. I can’t. Maybe that makes me inferior or them superior.